Located in El Chalten, perched at the north end of Los Glaciares National Park, Infinito Sur is an intimate place indeed, boasting stone and wood details as well as large windows designed to absorb the beautiful surroundings. Nine carefully decorated, spacious and comfortable double rooms with private bathrooms are designed in an authentic manner, keeping consistent with the traditional style but offering a high level of comfort. The highlight is the living area which overlooks Mt. Fitz Roy! Our weekly eNewsletter highlights new adventures, exclusive offers, webinars, nature news, travel ideas, photography tips and more. 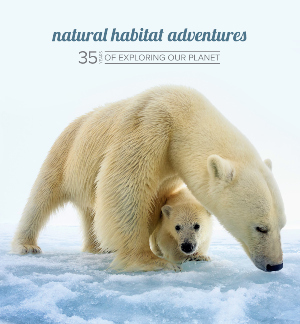 Copyright © 2019 • Natural Habitat Adventures • Web Design by Solo Creative Co.